Improving clinicians' understanding of effects nutrition can have on maternal health and fetal and neonatal development can have considerable impact on achieving a healthy pregnancy and reducing childhood morbidity. 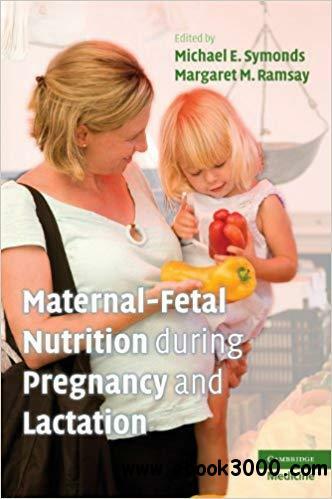 This book defines the nutritional requirements with regard to each stage of fetal development and growth, placing scientific developments into a clinical context. Clinicians and scientists discuss: how the fetus grows and what macro- and micronutrients it requires; what happens when there is nutrient deficiency and when placental development is abnormal; aspects of infant feeding, both with breast milk and formula milk. Specific problems encountered in pregnancy that pose a nutritional challenge are also considered, including pregnancy in teenagers, multiple pregnancies and pregnancy in those who are vegetarians or vegans. All doctors, health-care workers or scientists who either care for women, their newborn and growing infants, or who are involved in research in these areas, will find this to be essential reading.